Bullying is a pervasive and multifaceted problem in our society as a whole. It is an issue for all age groups and cultures. As such, it is not just a school problem. We welcome public debates about bullying and are interested in working with our communities to discuss this and come up with effective solutions and interventions. We support the notion that it takes the whole village to raise a child and believe that this is reflected in our Shared Values: I Respect; I Belong; I am Responsible and I Want to Know. We expect our students and staff to model these Shared Values. In addition, Regina Public Schools believes that all pupils have a right to learn and interact in a safe, caring and affirming environment. The safety and well being of all students is a primary concern. Therefore, bullying behaviour is not tolerated and staff members are required, and students are asked to report any incidents of bullying to the school principal. Information is gathered and documented and a Bullying Behaviour Report is completed as required by our Administrative Procedure 381. Parents/guardians who are concerned about any kind of bullying are encouraged to contact their child’s teacher or school principal. Response Ability Pathways (RAP) and Circle of Courage - Response Ability Pathways – or simply RAP – provides essential strength-based strategies for all who deal with young persons in school, family or community. It is an application of the Circle of Courage model of positive youth development, which offers “basic training” for dealing with challenging children and youth. Children and youth need supportive persons who respond to their needs rather than react to their problems. RAP provides these response abilities and enables adults to guide young people on pathways to responsibility. RAP applies Circle of Courage principles to help all young people develop belonging, mastery, independence, and generosity. The methods are grounded in research evidence on resilience, brain science, and positive psychology. This training offers practical methods providing positive behaviour support and creating climates of respect in schools by focusing on strengths and solutions. Brief “teaching moments” instil positive behaviours and values. RAP sets high expectations of youth to take responsibility and show respect for themselves and others. Young people are enlisted as responsible agents in positive change. Canadian Red Cross-RespectED Training for students and staff. The school division has worked with the Red Cross to train staff members as RespectED trainers. RespectEd defines different types of bullying and harassment, explores how interpersonal power issues are played out among young people, develops understanding of intervention and prevention issues (including the law and through school policy), how to respond to disclosures and what support services are available, to understand the impact harassing behaviour has on young people, to develop proactive strategies for preventing harassment and bullying from occurring at individual, organizational, and community levels. GSA - Alliances for gender and sexual diversity, sometimes called Gay-Straight Alliances or Gender and Sexuality Alliances (GSAs), are school clubs/groups for students who wish to support school environments that are safe for, inclusive of, and responsive to gender and sexually diverse people. These alliances are open to all students and members work together to create safe and supportive environments for everyone. These alliances also provide a place for all students to meet, make friends and talk about issues specific to gender and sexual diversity. There is no expectation to reveal one's sexual orientation or gender identity. The school division has developed a three-tiered “response to intervention” approach to address various issues that arise called “Intervention First.” At each tier, interventions become more intensive and involve more professionals. 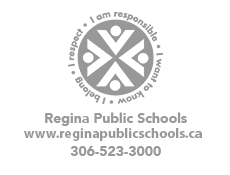 Though we work very hard at prevention, Regina Public Schools also has processes and protocols to address any immediate or direct threats. Our psychologists conduct threat assessments and work with a team of professionals (e.g., school counsellors, guidance counsellors, principals and superintendents) to address specific concerns or threats that are made or divulged to us by students, parents, or staff members. Plans for intervention are developed, monitored for fidelity and evaluated for their effectiveness. We take these issues very seriously and work very quickly to address concerns of this nature. When students do not respond to interventions, new plans are made and developed, always with student and staff safety in mind. We also work closely with our partners at the Regina Police Service and Child and Youth Services when threats are made, as well as with intervention. The school division also provides a number of specific programs in congregated settings to help students that may be in crisis and require more intense and direct help than can be provided in the regular classroom. In such circumstances, our goal is to have these students eventually return to the regular education classroom at their home school.